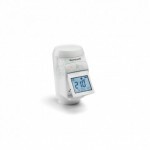 The colour control panel enables the adjusting of time and temperature in up to 12 zones. Each zone must be separately configured. The control panel calculates the optimal heat requirement needed for the efficient heating of the boiler, and the touch-sensitive display makes it easy to use. 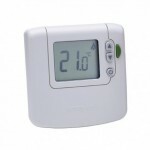 The temperature can be locally adjusted with the use of the radiator’s controller. 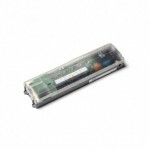 The controllers can be easily read, and are energy-efficient. On the basis of the heat requirement, the heating has been controlled in an energy-efficient way, and since the communication is being transmitted bilaterally, an uninterrupted connection with the control panel has been ensured. If the required temperature cannot be achieved with the use of the radiator’s controller, then you might find the wall-mounted or regular DTS92 more suitable for you. Since the communication is being bilaterally transmitted, an uninterrupted connection with the control panel has been ensured. 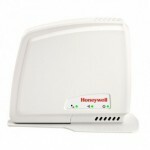 The rooms are heated in an energy-efficient way, and in accordance with your heat requirements. By utilising the HCE80 controller for floor heating, evohome’s automation devices can be superbly combined with the floor heating. As a standard solution, 5 zones can be separately adjusted (up to 15 heat circuits). By using the HCE80 additional module, 8 zones can be adjusted (up to 24 heating circuits). The evohome controller for the boiler can be used with almost all heaters – the simple switch on/switch off boilers as well as the OpenTherm boilers (a type of open digital communications protocol between the boiler and the controller). The boiler has a wireless connection with the control panel, and the heat can be adjusted free of charge through a mobile app. 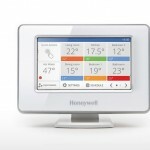 The internet module enables the use of evohome home automation over long-distance through a smart phone or a tablet. 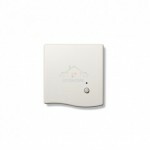 The mobile app enables the use of evohome automation at any location, both inside and outside of the rooms.